Furinno Turn-N-Tube Home Living Room Series: Living room tables. (1) Unique Structure: Simple and stylish look is ideal as a decorative and home living essentials. Suitable for any rooms needing a table to serve. Designed to meet the demand of low cost but durable and efficient furniture. It is proven to be the most popular RTA furniture due to its functionality, price, and the no hassle assembly. 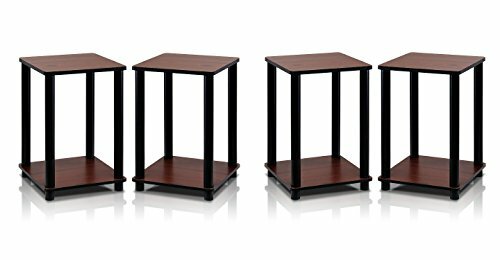 Mercana 50061 "Bellemount" Accent Table, 31" x 15" x 35"